Bereaved father interrupts Netanyahu, calling on him to apologize for the confrontation between Likud ministers and bereaved families. 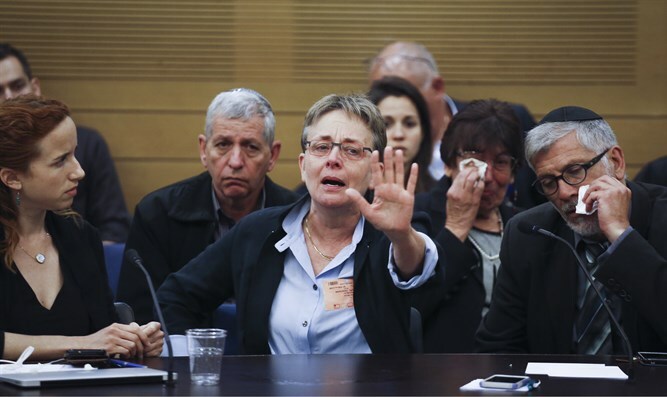 A bereaved father interrupted Prime Minister Netanyahu’s speech today following the confrontation between Knesset members and bereaved families at the State Control Committee meeting on Operation Protective Edge. Netanyahu waited silently until the father had finished speaking, and only then continued his speech. Netanyahu said at the ceremony that, no less than we remember fallen soldiers, they remind us of who we are and what the purpose of our actions are. He said that the memory of events of the past is ingrained in our national consciousness. He added that the torch has not been extinguished and that Israel has renewed the chain of Jewish heroism and the determined defense of our homeland. He added that the new remembrance hall combines national and personal memory and ensures that the memory of the fallen will forever remain in the heart of our nation.